We the Arcturians realize that many of you are having difficulty with your third-dimensional memory. We realize that the constant stress of an ever-changing world can interfere with your memory, but you have all had more stress in the past without your present loss of short-term memory. Likely you have realized that you usually forget 3D details about times or dates. It may appear to many of you, the ascending ones, that there is an ever-increasing amount of information about your mundane life that seems unavailable to your daily thinking. You are experiencing this challenge because you are in the process of uploading all your third and fourth dimensional thinking into your multidimensional thinking. “What is multidimensional thinking?” you ask. Multidimensional thinking is the ability to be aware of more than one version of your Multidimensional SELF while you are in the process of your daily, physical life. You are already accustomed to multi-tasking in your 3D life. For example, you can be sitting at your desk while you pay your bills, think about what you want to buy at the grocery store, remember that your child needs to complete a certain assignment at a certain time, your lawn needs to be watered and, oh yes, you forgot to call your friend. All of these different thoughts flow in and out of your mind so quickly that they seem almost to be one thought. With multidimensional thinking, your thoughts are not limited to just your physical life. You may be taking a walk, thinking about the dream you had last night and observing the clouds in the sky wondering if one of them is disguising a starship. Your mind then remembers the “dream” in which you are in a huge room with many unfamiliar people listening to unusual beings talking. Then a nearby car screeches on its brakes, and you jump back into your physical reality. Because you are accustomed to screeching brakes as a warning, you return to your physical perceptions and totally forget the brief moment of your multidimensional memories. Physical warning sounds are very common. Even when children are too quiet you know you must check on them. Hence, whenever you get a warning sound, or warning quiet, your attention leaves your multidimensional thinking so that you can focus on your physical world. That moment of multidimensional thinking is often forgotten because some level of fear has entered your consciousness. Once your consciousness drops back into “only the physical world,” your brief encounter with multidimensional thinking is lost. Fortunately, once you include a possible message from your Higher Self, something that occurred in your morning meditation, or your longing to remember something that you can’t quite put your finger on, you gradually accelerate your brain into the higher brainwaves of your multidimensional thinking. In this manner, you are moving into and out of multidimensional thinking. When you are calm and peaceful, your consciousness expands into higher brainwaves. Then your multidimensional thinking becomes engaged, and you begin to ponder your higher worlds. Suddenly, a third dimensional warning enters your thinking, such as looking at the clock to realize that you need to attend to some physical activity, and your consciousness drops back to the lower brainwaves of your 3D life. A major component of returning to your full multidimensional awareness is to make your multidimensional thinking as “normal” as your 3D thinking. For example, if you routinely survey the skies for a spaceship, write down your dreams when you wake up and/or listen for the inner guidance of your higher dimensional SELF, multidimensional thinking becomes as common as your third dimensional thinking. Just as your ear is tuned to hear your children calling, your boss’s request, or the sound of birds, your ear attunes to what you have determined as “important messages” from the higher dimensions. Unfortunately, your third dimensional brain and consciousness has a limitation as to how much information can be consciously recognized. Just as you can only read your Internet when you are “online” with your computer, you can only “read” your multidimensional mind when you are “online” with your multidimensional thinking. Once you are logged into your Multidimensional SELF you can you recall what your inner voice has told you. You may also remember the waves of almost invisible light that quickly passed by the corner of your eye, or the important dream that was actually an alternate reality. If you read the newspaper every morning, you calibrate your perceptions and thinking to the 3D. On the other hand if you meditate every morning, write down your dreams or imagine that your Higher SELF is near you, you calibrate your thinking and perceptions to the fourth dimension and beyond. Thus, if you think only of what is occurring in your physical life, it is abnormal to think about your inner self. On the other hand, once you begin to attend to your inner feelings, fleeting perceptions and inner messages from your multidimensional world, the higher dimensions become normal. In other words, “normal” is whatever you carry in your mind on a regular basis. And, what you think about, you bring about. Thus, if you only think about what you read in the newspaper, the chores you have for the day, what bills must be paid and what your family or work needs you to do, you have limited your self to only third dimensional thinking. Because you are wearing an earth vessel and live in a third dimensional reality, third dimensional thinking is necessary. On the other hand, when you also ponder your fourth dimensional dreams and creative ventures, listen for your inner guidance and remember to connect with your higher expressions of SELF while you go about your mundane life, you are thinking multidimensionally. Multidimensional thinking in not limited to hearing or reading words, as it is a form of “light language.” Light language is relayed and understood via emotions, imagination, tactile sensations, sounds and colors that suddenly enter your consciousness. By attending to these “light messages,” you expand your third dimensional thinking into multidimensional thinking. · Your conscious thinking dictates your state of consciousness. · Your state of consciousness dictates your conscious perception. · The perceptions to which you consciously attend dictate your vision of life. In the same manner, your emotions affect your state of consciousness. · If you feel in a “bad mood” you see what is wrong with your life and your consciousness lowers to third dimensional thinking. · When you feel in a “good mood”, you see what is right with your life and your consciousness expands into multidimensional thinking. A bad mood is usually because fear has invaded your thinking. Because of this lower frequency of thinking, you primarily attend to the “I should” and “I have to” areas of your third dimensional life. A good mood is usually because your consciousness has been able to focus on love, especially unconditional love. Then your thinking becomes calibrated to a higher state of consciousness in which you can remember to attend to your innate connection with your Multidimensional SELF. Your brainwaves determine your state of consciousness. Your state of consciousness determines your thinking. Your thinking determines the frequency of your perceptions. · Your beta brainwaves are aligned with the perceptions of your third dimensional state of consciousness, thinking and perceptions. · Your alpha brainwaves are aligned with your fourth dimensional state of consciousness, your creative thinking and perceptions of your upper-third and fourth dimensional life. · Your theta brainwaves are aligned with your higher fourth and lower fifth dimensional states of consciousness, spiritual and shamanistic thinking, and the beginnings of conscious perceptions and recognition of your multidimensional expressions of SELF. · Your delta brainwaves are aligned with the consciousness of your fifth dimensional Lightbody SELF, as well as multidimensional thoughts and perceptions that resonate to the NOW of the ONE. Your brainwaves are much like your “mental muscles.” The more you activate them, the stronger they become. If you do not use them, they become weaker. In other words, when you consciously attune to a higher brainwave, and the resulting state of consciousness, a portal between your physical brain and your Multidimensional Mind is opened. Thus, the more you consciously activate a higher state of consciousness, the more you can integrate those brainwaves into your daily life. Conversely, when you chose not to attune to your higher brainwaves, it is more difficult to integrate those higher states of consciousness into your daily life. Then, you will think of, perceive, and live within the physical world with little awareness of your innate, Multidimensional SELF. Different brainwaves and states of consciousness also determine what you emotionally feel about your life, as well as how you emotionally interact, react and/or respond to your daily life. · Beta brainwaves and states of consciousness are a call to duty, and often result in stress, anxiety or depression. 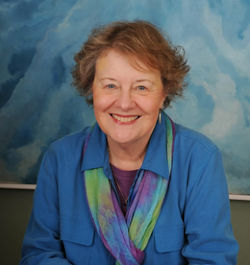 · Alpha brainwaves and states of consciousness feel creative, fun, and more joyful. · Theta brainwaves and states of consciousness feel deeply reflective and spiritual. 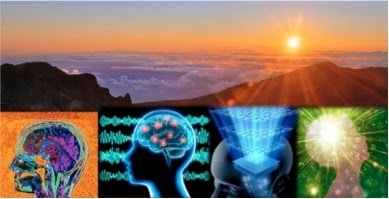 · Delta brainwaves and states of consciousness are very “other worldly.” Thus, they are difficult to access while you are awake to your physical world. Just as your brainwaves and resulting states of consciousness affect your emotions, your emotions affect your brainwaves/states of consciousness. · Fear instantly lowers your consciousness into Beta brainwaves of your immediate third dimensionally tasks, duties, dangers and responsibilities. · Happiness raises your consciousness into the fourth dimension in which your creativity is activated. · Joy expands your consciousness into your fifth-dimensional desire to merge with your Multidimensional SELF. · Unconditional love is the ticket to your inter-dimensional travels. · Surrender, which is the release of all reactive emotions, connects you with the myriad expressions of your Multidimensional SELF. It is through the sensations of joy, unconditional love and surrender that you begin to experience your Multidimensional SELF in your daily life. Gradually, you will hear the constant assistance that your SELF offers in every moment of the NOW. Eventually, you will know that you are being guided. As you allow this guidance into your daily life it becomes increasingly conscious and you realize that you are never alone. You then KNOW that you are ALWAYS guided, instructed, comforted and protected. You become aware that you can put in a call for assistance for any area of your life. However, just as you need to turn on your phone or computer to get information, you must “turn on” your higher consciousness to receive higher dimensional messages. It is important to document these messages in some manner, as it may be difficult to remember them when your return to your 3D consciousness. With practice, you will learn/remember how to channel your higher messages through writing or via your own voice. Through the act of channeling your Higher SELF, your perspective moves from “being lost in third-dimensional lies and illusions” to “floating above the cares of mundane life while you visit with your higher expression of SELF.” Then the “YOU” that resonates to a higher frequency can comfort and guide the “you” who is wearing an earth vessel during these challenging times of personal and planetary ascension. We know that many of you became greatly disappointed that Earth did not suddenly become fifth dimensional during the many predicted moments of time. However, ascension is not associated with time. Ascension is the act of leaving time. Also, if the planet were to suddenly ascend into the fifth dimension in any of the humanly assigned “times,” the physical planet would have become instantly uninhabitable to all third dimensional forms and the greater majority of Gaia’s inhabitants would be destroyed. Gaia is a loving Mother Earth. Rather than “pulling the rug out from under” so many of the wonderful life forms that have lived on, in and over her planetary body, she has decided to continue with the suffering that She endures every day at the hands of the dark members of humanity. It is this question that makes them a Multidimensional Leader. ITALIAN TRANSLATION :ask sosoneworld1@gmail.com and we send it. Thank you, Sue and the Arcturians. Love, B.